The Dutch band Ex Libris has often been tagged as a symphonic metal act, mainly as a result of soprano singer Dianne van Giersbergen’s operatic style and of her presence in Xandria for a few years. However I could never agree with that tag as I found the music itself to be a lot more focused on progressive metal reminding me of Symphony X. Well, with the release of “Ann – Chapter 2 – Anastasia Romanova” they to do justice both to the symphonic and progressive side equally, creating a sound that can only be associated to them. 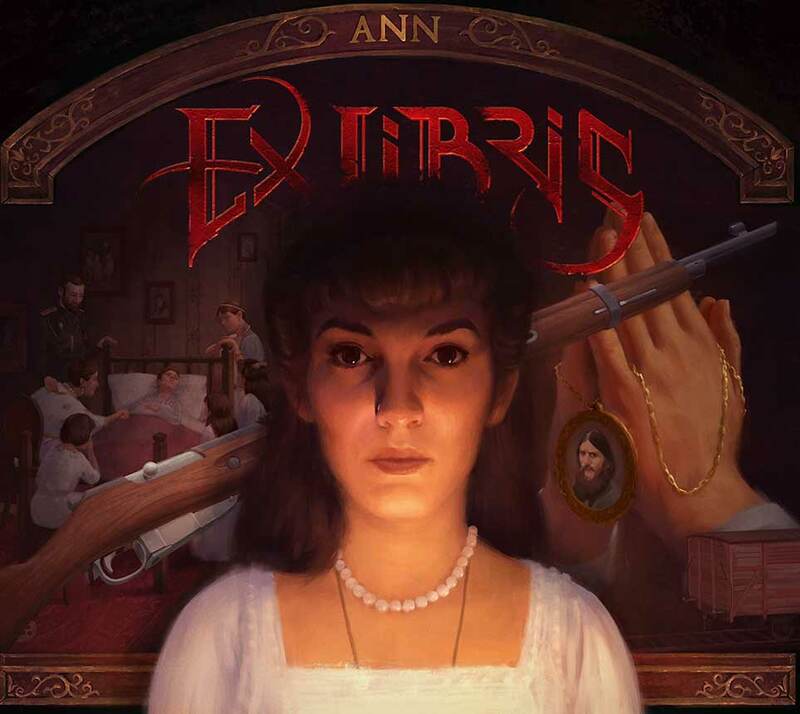 To give some background information for those who are unaware, Ex Libris is currently writing a trilogy album “Ann” composed of three parts, each telling the story of a different person in history named Ann. This is the second chapter, telling the story of Anastasia Romanova. The songwriting here tends to follow more straightforward rhythm patterns blending with the progressive side that always comes in with great effect, making the songs both cohesive and unpredictable. It is a very elegant mixture of intricate and catchy that should appeal to pretty much anyone with… ears. A very important thing to notice is that they are all masters at their craft. The musicianship that each band member brings to the table proves not only that they can play very technical and difficult parts but also that they always do it with a purpose. The guitar has a very heavy, crunchy yet clean and processed sound unleashing very dynamic and energetic riffs and the bass lines are just phenomenal, standing out quite a lot, which is unexpected in an album that puts together so many layers. I also can’t help but admire the drum performance. As mentioned in the studio documentary series that can be found on the band’s YouTube channel (Episode 1 below), Harmen Kieboom isn’t exactly a “heavy metal drummer” but he has no difficulty in sounding like one when necessary (Check out the distinctive progressive snippet in “The Healer” for his most impressive performance). However, the best thing about him is the level of detail that he works at and the connection to the music that he adds to his parts, really giving one of the best examples of “playing with a purpose”. That is also the case with Bob Wijtsma (guitar) and Koen Stam (keyboard) who will put some amazing solos and duels with a lot of impact and “fire” in the interpretation without throwing the songs out of balance. But what makes Chapter 2 stand out from their past releases is the bombastic use of orchestra and the collaboration with the Ural Cossacks Choir. Sounds flamboyant? Well that’s because it is. This is the element that elevated Ex Libris to an absolutely massive scale with multiple layers and giving an extra breath of life and grandeur to the already masterful mix. But it is also what allowed for a much more immersive atmosphere when inserted into the slower moments where it resembles a real symphonic concerto (intro to “The Healer” should get you sold on that). It’s what transforms a three track EP into a huge operatic play with movie soundtrack tendencies. Speaking of the songs themselves, all three flow together while still maintaining their own unique character. “The Motherland” has this epic and majestic feeling that’s so evocative of old Imperial Russia. “The Healer” takes the same epicness to a slightly darker tone and gives a very cinematic marching feel leaving “The Exile” to blend the energy of the first two songs with the a special element of theatrical drama. However, despite all the talent coming from so many directions I am still perplexed at the fact that my favorite aspect in a progressive metal album is the vocal performance. As a seriously nerdy prog enthusiast, this has not once happened to me before finding Ex Libris. Dianne van Giersbergen takes vocal interpretation to a whole new level. Not only is she pushing boundaries regarding vocal technique, but she delivers strong theatrics that can only lift you up and break you down in the most unimaginable ways. Here she genuinely impersonates a seventeen year old girl, shaping her vocal tone to sound innocent and childish (ending of “The Motherland” and intro to “The Healer” are the best examples). And when it comes to pushing the extremes of emotional intensity, one simply has to mention the ending of “The Exile”, where the pure terror and despair in her voice can bring tears to your eyes and make your blood run cold. Then the choirs slowly drown her with a somber and slightly funeral tone, ending the story with a bitter air of tragedy. Out of all the musicians that I’ve listened to, Ex Libris is probably the band that can most accurately express their visions. With some amazing production work that balances all elements, they can actually place images in front of your eyes and take you to the place and time that the music is intended to convey. In just one day this EP cracked my top five albums of all time and earned a solid number one for the best vocal performance on a metal album, or any other album. That’s where I’m standing and even if some might disagree with such a bold statement, I think it’s nearly impossible for this music not to impress you. I could throw in words like “genius” and “masterpiece” but I somehow feel like these are human concepts that Ex Libris has rendered obsolete. This one is ground breaking even for them and the great Motherland should be nothing if not humbled by such a masterful homage to its history and culture. 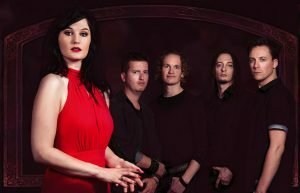 This entry was posted in Bands, Heavy Metal, Progressive Metal, Reviews and tagged 10/10, Anastasia Romanova, Ann, Chapter 2, concept album, Dianne van Giersbergen, EP, Ex Libris, progressive metal, Symphonic Metal, theatrical, Xandria.